Bread Street Kitchen is the place for people across all hours. Open for breakfast meetings, after work drinks or group dinners, Bread Street Kitchen is a bustling, large and breathtaking space. 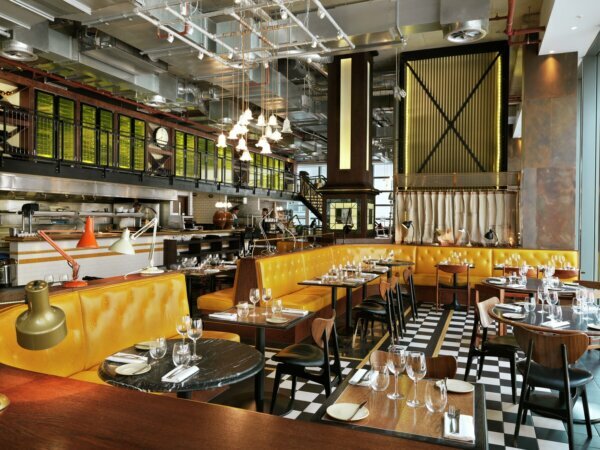 A stunning mix of vintage and modern brought together by an ever-changing menu. Saturday and Sunday and Bank Holidays 20% off All Day. Food discount only from the A la Carte menu. Simply show your Privilege card to redeem the offer (Please note that the discount is applicable for a maximum of 6 guests).